5/8 x 12 x 3 3/8 in. 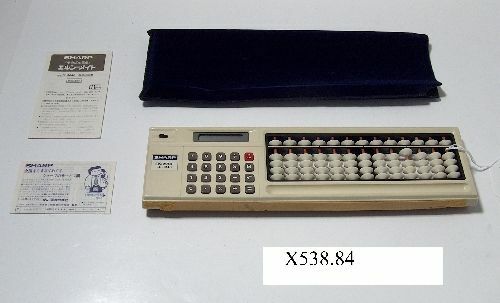 Object consists of calculator, blue velour case, and two instruction manuals in Japanese.. Written in red pen on back of calculator "G Bell 8/20/79"